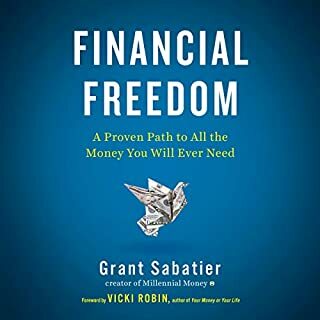 The definitive guide to financial independence at any age! Retiring early is not limited to lottery winners or the super rich. In fact with proper planning, we can all retire at a younger age than we ever dreamed - but only with the right plan. Personal finance expert Deacon Hayes explains the practical, concrete steps you can take to start your retirement when you're young enough to thoroughly enjoy it. Do you want to achieve financial freedom? Are you tired of slaving away at the nine-to-five? Do you want to create an income stream that will help your family for generations to come? If so, then keep on listening. Do you want to get into dividend investing but don't know where to start? 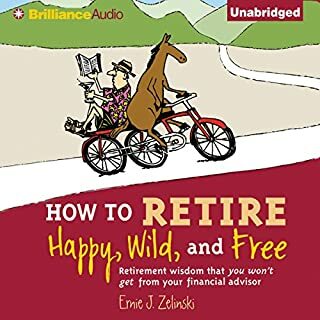 Whether you're new to investing or an intermediate, this audiobook was made just for you. The most comprehensive guide to moving abroad in order to cut your expenses in half, with advice, expatriate interviews, and specific country details for the cheapest places to live. This is the book that reveals how to cut loose instead of cutting back. Instead of sacrificing and eliminating things you love, have more money to spend each month. "The keys that Wes Moss identifies to having a happy retirement are simple but brilliant. Read this book." 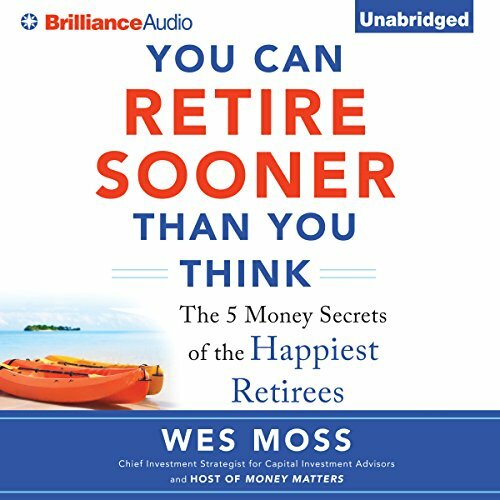 "Financial planner Wes Moss offers you something different - not just a plan to retire, but a way to do it sooner and to be happy when you do." If you think you need to win the lottery or work until you're 75 to retire with financial stability, Money Matters host Wes Moss has very good news for you. You Can Retire Sooner Than You Think reveals the secrets for ensuring a successful retirement - sooner rather than later. 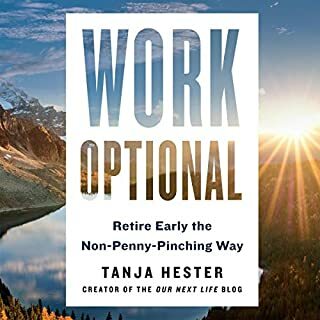 I would recommend this book for all ages from 20s to already retired. Some of it was info I already knew but knowing what happy retirees do was very useful and will change a few of my plans. Pretty Good. Gave me hope to keep saving and cutting everyday waste of money. the book is awesome, very interesting the only downfall was when you download the audio version you do not get the grass or diagrams that compliment the book. need to have a place where you can download all the extras in a PDF file. Great information for anyone who wants to retire. if you have a plan check it here to see how well it stacks up. 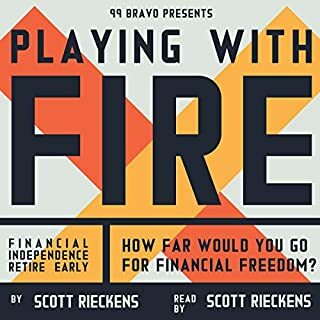 if you don't have s plan listen now and get one..
For anybody that wants to retire within the next five years, this is the book to read. It's packed with a lot of information that is usable and applicable immediately towards a happy retirement. great information in a very easy to read style. great advice for retirement planning. some of the basic premises and study statistics seem questionable to me. and some are just meaningless. like "unhappy retirees drive BMWs". the case studies are contrived. there is A LOT of repetition. I fast forwarded a lot. the basic brilliant premise that for every $1000 of monthly income you want, you'll need $240,000 in your 401K strikes me as incorrect. $1,000x12 mo x 20 yr = 240,000. what about the taxes you'll pay when you take it out? my math says you need $350,000. with this premise qnd half the "happiness study" statistics debunked there isnt much fresh innovative info in the book. Loved it. It appears I can retire sooner than I thought. Looking forward too it. Cannot wait! This book covers the important topic of generating income via several sources!! I've actually read the book several times because the content is so good!! 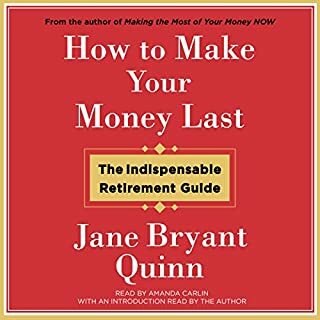 This is a good book to get you thinking about what you need to do to prepare for retirement. It has good advise, and puts forth general rules of thumb, and strategies that will help most people. The perspective is of an “average” person considering retirement - as a Californian, i thought the suggestions to buy cheap real estate, and pay off my $200k mortgage in “as little as 5 years” were pretty out of touch - Mr Moss had zero mention of high cost of living situations, which i would have liked to hear. 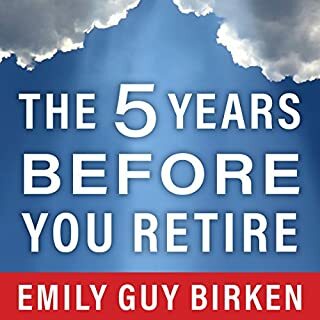 There was a lot of fluff about individual success stories, i think to be inspiring, the book goes on and on about happy retirees, but i think that should have been relegated to one chapter. Book probably could have been much shorter.